The bank said it was unaware of any plans by Hathaway to buy a stake in the lender. 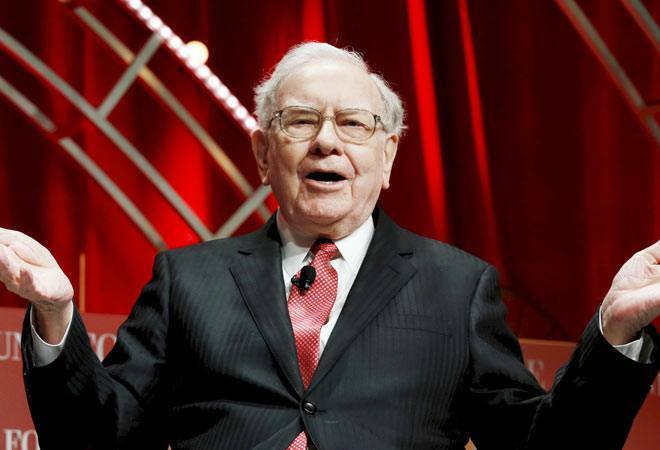 Billionaire global investor Warren Buffett's Berkshire Hathaway Inc is looking to pick up a 10 percent stake in Kotak Mahindra Bank Ltd, according to a media report on Friday, a plan the bank said it was unaware of. Kotak Mahindra shares, which initially surged 14 percent in their sharpest intraday gain in nearly nine years on the CNBC-TV18 report, pared some gains to close up 8.8 percent following the company's statement. A stake acquisition by U.S.-based Berkshire Hathaway may be conducive to Uday Kotak, the billionaire head of Kotak Mahindra Bank, who has been asked by India's central bank to lower his holding in the private-sector lender to 20 percent by the end of this year, and to 15 percent by March 31, 2020. Berkshire Hathaway is likely to invest between $4 billion and $6 billion in the private-sector bank by buying promoter stake or through a preferential allotment, the channel reported. The acquisition of a 5 percent stake or more in an Indian bank requires prior approval from the Reserve Bank of India (RBI). "The way (Uday) Kotak works is that he would look for a stable investor in case of a stake sale, so it may just happen that the bank may bring Berkshire into the fold," said Asutosh K Mishra, Head of Research of institutional equity at Ashika Stock Broking Ltd.
Kotak Mahindra Bank said it was unaware of any plans by Berkshire Hathaway to buy a stake in the lender. "The key thing to watch out will be whether it will be a preferential issue of fresh shares or a stake sale by Uday Kotak," Mishra said. "While Uday Kotak may not want to take out his money from the bank, the bank is over-capitalized. So it will be interesting to see how that equilibrium is reached." In August, the RBI said the CEO's plan to reduce his stake by issuing non-convertible perpetual non-cumulative preference shares does not meet their promoter holding dilution requirement. Uday Kotak directly held a 29.73 percent stake in the lender as of September 30, 2018, according to Bombay Stock Exchange data. 25-billion-rupee stake in the parent of Paytm.